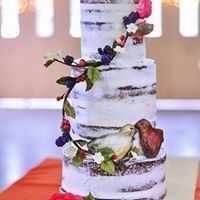 Hen & Chick Cakes is a wedding cake designer in Grosse Pointe, Michigan that also serves couples in Detroit, Ann Arbor, and Flint. 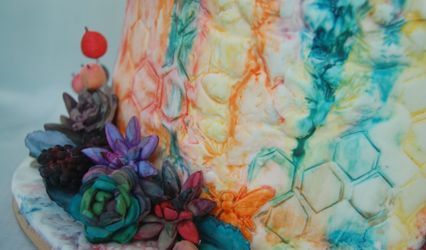 Their specialty is designing beautiful edible art that tastes amazing. 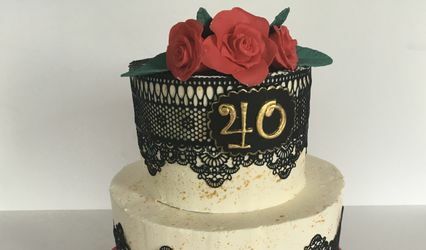 Their artistic designer, Kara Shall, creates gourmet, made-from-scratch cakes or cookies with the highest quality ingredients and delicious flavors. 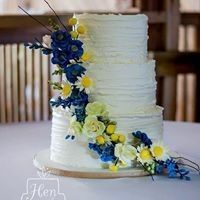 Hen & Chick Cakes prides themselves on providing the perfect combination of artistry and flavor that will delight you and your guests on your special day. 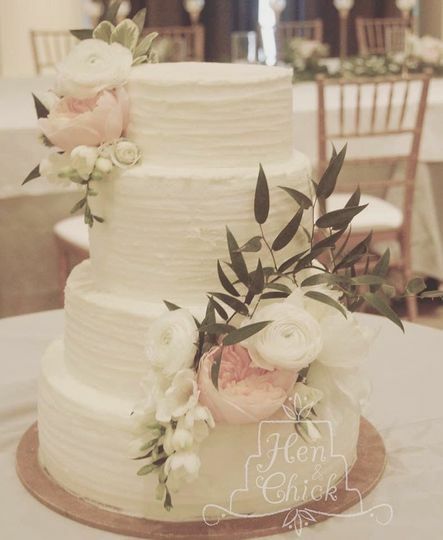 Hen & Chick Cakes offers consultations and private tastings to ensure you get the cake of your dreams for your wedding day. They also provide delivery, set up, and clean up to help make your day as stress-free as possible. 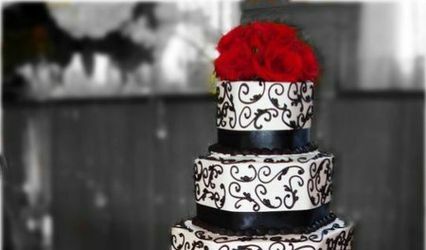 Along with wedding cakes, you can also choose cupcakes or cookies, and groom’s cakes are available as well. 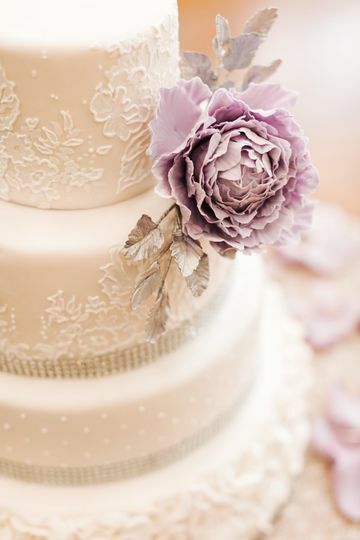 If needed, cake stands and cake toppers are provided. 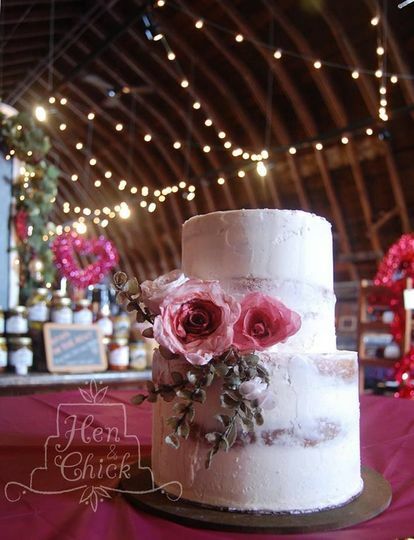 Hen & Chick Cakes offers an extensive list of cake and filling options that are sure to delight your taste buds! 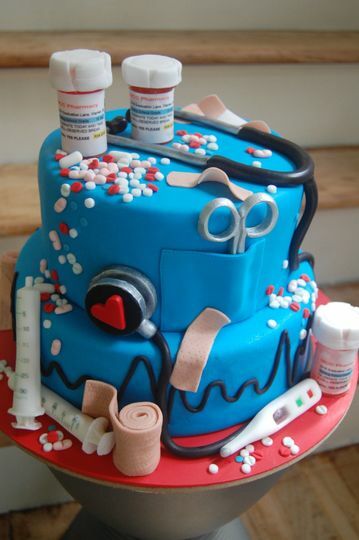 Gwen&apos;s Cake Decorating & Etc. Our experience with Kara was perfect from beginning to end. She listened to our thoughts on design and offered welcome input based on her experience. She was so easy to communicate with and we could see the passion she has for her craft. Her final product delivered in every way. This was one element of the wedding that didn't just meet our expectations (which were admittedly very high in all respects), but exceeded them. 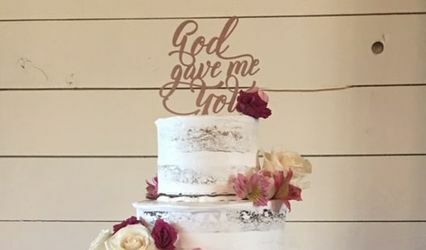 The cake was absolutely gorgeous. She made the most amazing flower. When I was talking to a guest when dessert was served, I saw her husband finish up his piece of cake and grab hers with a guilty smile on his face. He was obviously loving it! People raved about how delicious and special it was. 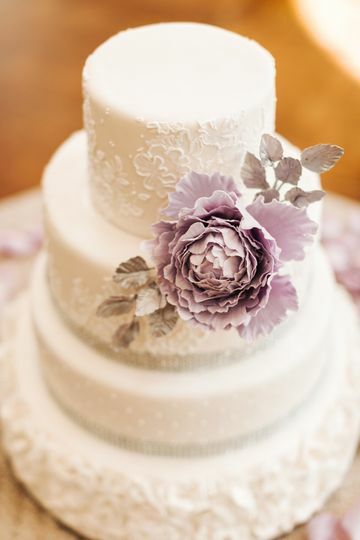 I will recommend Kara to anyone who asks and can't wait for another event in whiich we can have her cake again . . . maybe a baby shower? We are so happy that we found her! 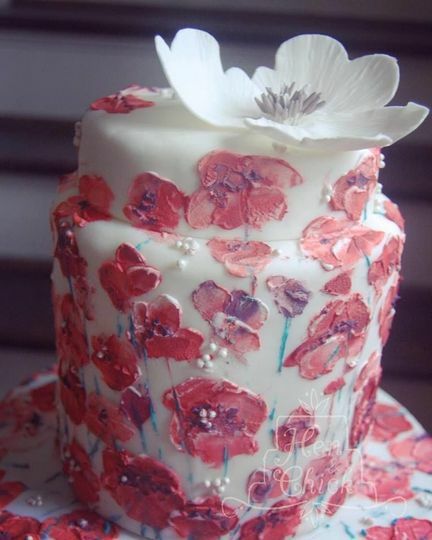 Hen and Chick has provided a few cakes for me and each one has been more beautiful and delicious than the one before! Kara is truly an artist! HenΧck was so accommodating. Kara took on my rush job and did such an amazing job decorating and was super creative. Will definitely be using her the next time I need a cake or cookies. Tasting Fee Returned on Qualifying Orders! We issue a tasting/consultation fee in order to provide you with an outstanding tasting experience! 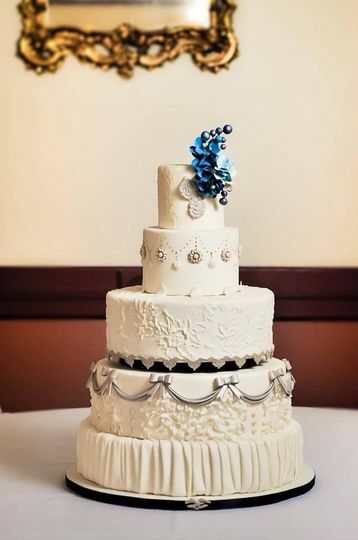 BUT, if you book your cake with us the day of your tasting (for 100 servings or more), we return your tasting fee to you by taking it off your final balance!